SNAFU! : Did a YF-23 Test Pilot give us the secret sauce to how LM has saved the F-35 even though its development has been a disaster? Did a YF-23 Test Pilot give us the secret sauce to how LM has saved the F-35 even though its development has been a disaster? 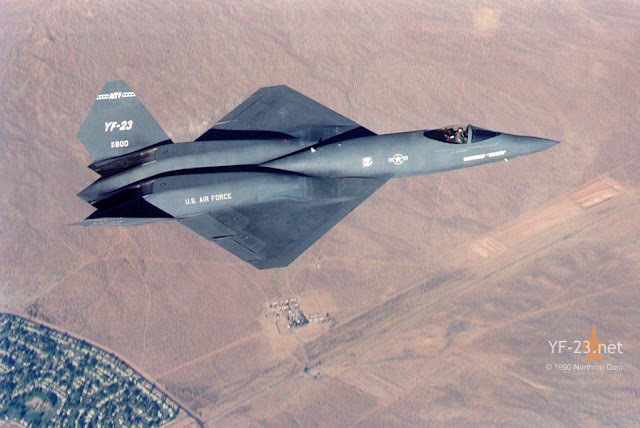 Tyler has an interview with a famed YF-23 Test Pilot that tells the story of the competition between it and the F-22. It's a must read and will make you wonder once again if we didn't pick the wrong airplane. Many state today that the YF-23 would be a natural in the Pacific and would fit better into future warfare and I agree. But one thing stands out. Read the entire article (its just that good) but this part made me sit back in my seat. Is this what we want in airplane competitions? Is this how our military should select gear? You guys won't like it but this same formula is being used with the F-35. Glitz. Marketing. Nonsensical terms that have no real meaning. "Sensor Fusion". "Quarterback of the sky". Nothing solid that we the people can grab onto and make an evaluation for ourselves. Even though they haven't delivered in almost 20 years we're still suppose to believe! Lockheed Martin isn't a defense corporation that happens to market its products. It's a marketing corporation that happens to dabble in defense.